Mega Office Supplies has everything your office needs in the one place to seamlessley and securely order your office supplies online. 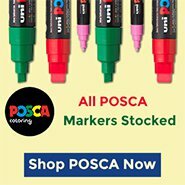 Can't find the office products and supplies you are looking for online? Feel free to contact us on our toll free number and speak to one of our helpful and knowledgeable team members who are all specialists in all the categories of office supplies, office consumables and any other business needs. We have a dedicated office furniture specialist who is keen to speak to you about commerical office furniture, complete office fitouts and office storage needs, such as filing cabinets or lateral filing cabinets. We also have an educational specialist who takes care of back to school supplies, bulk school supplies and school administration supplies. Maybe your looking for tissues, paper hand towels, toilet paper or other janitorial supplies such as cleaning products, cleaning wipes or chemicals - we supply all of that at fantastic prices. Mega Office Supplies is based in the middle of the Tweed Coast and Gold Coast, not far from Brisbane. Mega Office Supplies predominately supplies Australian companies, business, schools and government organisations with their office supplies nationwide and can ship most items from a number of warehouses across Australia. We also ship internationally and happy to assist with a freight quote if requested. Mega Office Supplies is a family owned business and are proudly Australian operated. Mega Office Supplies looks forward to personally and professionally working with you soon with all your business needs.